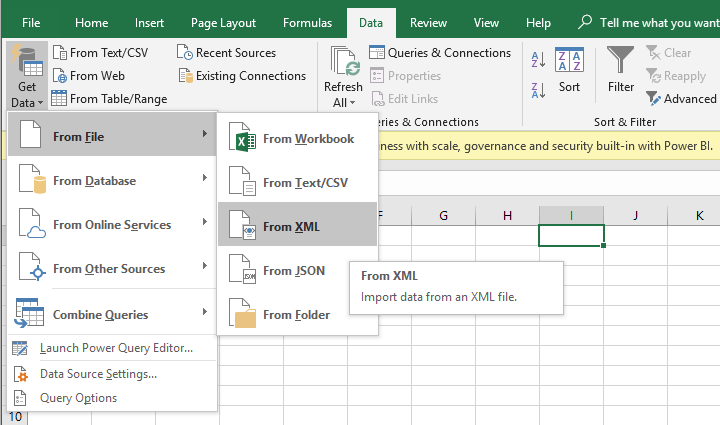 I've seen quite a few requests from customers to export Episerver content to Excel. While there is an API to subscribe to for a custom export, still very often one only needs a full list of articles/employee pages or similar without doing an extra deploy. Delete all columns except pages and then keep expanding the remaining column in the order below. In the end click Close & Load. You will get Name and Value columns which you can filter out on ex. Page name. See the quick solution in action in a gif here. Hi Marija - I'm looking to keep an offline copy of our Episerver site content. I followed your instructions above but one thing I didn't see on Excel 365 is the Transform Data button when using Data > Get Data. I only get Load. Do i need to explicitly rename the extension on the file as .xml? The other question i have is -- what selections on the Episerver Admin side are you selecting (Content Items, Content Types, Categories, Tabs, Visitor Groups)? I'd like to understand this part of the process better and can't find documentation anywhere.